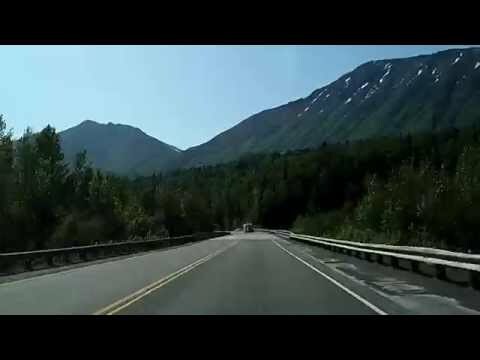 This drive begins at Tern Lake, the junction of Sterling Highway and Seward Highway (Alaska Route 1 turns into Sterling Highway for the drive west towards Soldotna and eventually Homer). There are mountains and glacier-fed lakes for a few miles, then the terrain flattens for the final push into Soldotna. The view out the rear-view is even more stunning — you’ll have to watch the return trip video to see it!